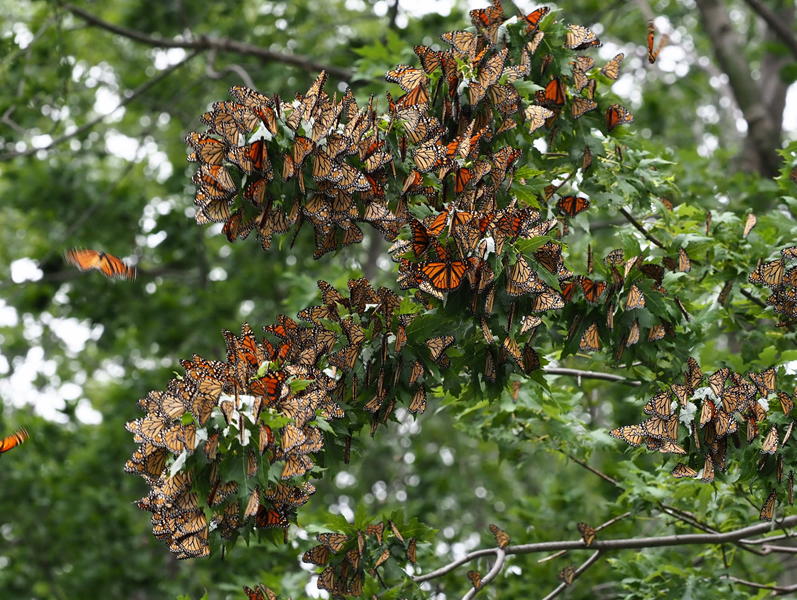 In a spectacular flow at least 500 miles wide, millions of monarchs made a grand exodus from the Great Lakes region. Strong northeast winds triggered a migration event of historic proportions last week in the Great Lakes region. From Toronto to Chicago and beyond, people witnessed a grand exodus that was triggered by a Nor’easter and remnants of Tropical Storm Gordon. Monarchs were traveling the shorelines and traversing the sky in unimaginable numbers. Monarchs need the wind to migrate to Mexico, but the wind can also be perilous. Many monarchs were undoubtedly blown off course this week as one observer sadly discovered. Over the years, people have contributed valuable observations of ways the wind and storms can affect monarchs during their fall migration. Please help document these events by reporting what you see.